Designed by Achaz Reuss in 2004. Published by FontFont. 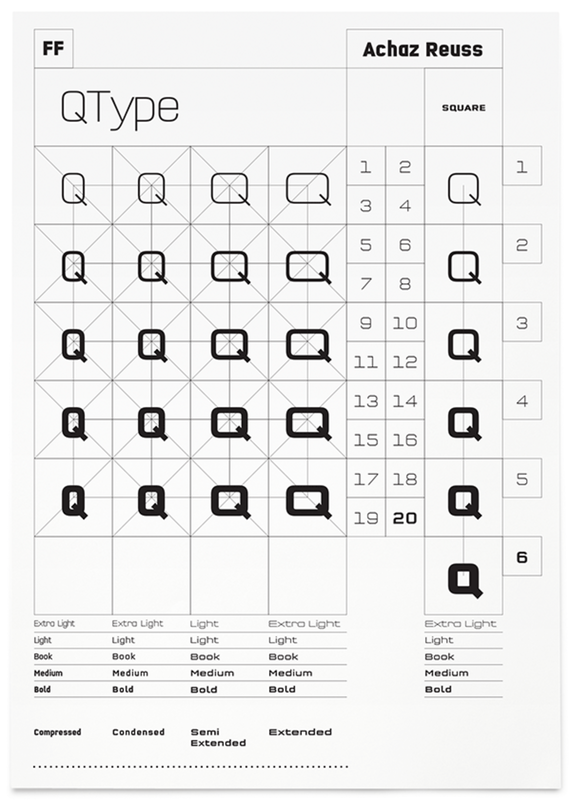 FF QType supports up to 82 different languages such as Spanish, English, Portuguese, German, French, Turkish, Italian, Polish, Kurdish (Latin), Azerbaijani (Latin), Romanian, Dutch, Hungarian, Czech, Kazakh (Latin), Serbian (Latin), Swedish, Belarusian (Latin), Croatian, Finnish, Slovak, Danish, Lithuanian, Latvian, Slovenian, Irish, Estonian, Basque, Luxembourgian, and Icelandic in Latin and other scripts. 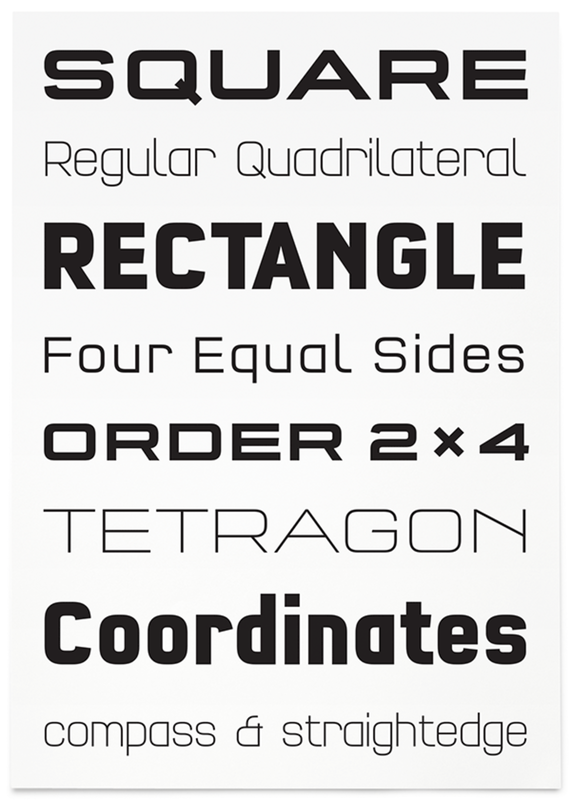 Based on square forms, FF QType successfully walks the difficult line between pure geometry and legibility. Achaz Reuss used his years of type design experience to flesh out a concept that could have been, in the hands of a student or amateur, a much less useful result. Five subfamilies make up the whole (Compressed, Condensed, Semi Extended, Extended and Square) each in five weights (Extra Light, Light, Book, Medium, and Bold).